It is amazing how the two countries still seem to be joined at the hip, with the U.S. at times imitating and at times almost supernaturally mirroring political developments in Russia. For some 45 years after the end of World War II, the U.S. and the Soviet Union were locked in a deadly embrace of the Cold War. Then, communism lost the war of ideologies, the Soviet empire collapsed, and the two superpowers went in different directions. Nevertheless, it never ceases to amaze me how the two countries still seem to be joined at the hip, with the U.S. at times imitating and at times almost supernaturally mirroring political developments in Russia. During the two terms in office of President George W. Bush, the U.S. began to copy — in form, if not in substance — some aspects of Stalinism, such as searching for enemies and deploying Orwellian newspeak to justify things like torture and preventive wars. 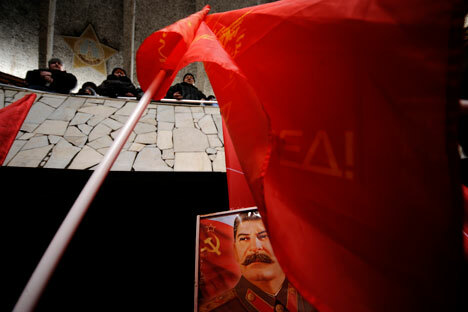 Today, Washington's political paralysis at the face of major domestic and international challenges brings to mind the period of stagnation under Soviet leader Leonid Brezhnev. And then there is Chechnya. In the 1990s, Chechen separatism presented a serious existential threat to Russia. It is not clear whether pacification under Chechen leader Ramzan Kadyrov's iron fist removed this threat, but there is no doubt that the second Chechen War, initiated in August 1999, boosted support for then-Prime Minister Vladimir Putin and helped him solidify his hold on power. As a result, Russia has since been ruled by a murky coterie of siloviki whose connections are rooted in the Soviet intelligence and law enforcement agencies. The siloviki hold peculiar, disturbing views on patriotism, public service, the role of Russia in the world and their own place in Russia. The terror attack on the Boston marathon, carried out by two misguided brothers of Chechen origin, was despicable, but it represented no existential threat to a country where gun violence kills about 8,500 people every year, many of whom are the victims of random attacks. But this first deadly act of terrorism on U.S. soil since 9/11 allowed the U.S. to showcase an amazing security apparatus, which it has built by spending hundreds of billions of borrowed dollars. The Washington Post reported in 2010 that this security establishment consists of 1,271 government agencies and nearly 2,000 private contractors. They sprung into action in Boston, first combing through thousands of recordings from security and surveillance cameras and then shutting down the city as a secret counterterrorist army, which looked like Death Star soldiers from Star Wars, invaded its streets. In the course of the subsequent investigation, we were reminded that the security establishment has hundreds of thousands of Americans and legal residents under some form of surveillance, that lying to a law enforcement official is a felony and that a wife who doesn't report to the authorities on her husband may be charged as his accomplice. An acquaintance of the elder Tsarnaev, who was not suspected of terrorist activities and not armed, was shot and killed by an FBI agent while being interrogated. Most recently, we heard about private citizens' telephone records being passed to the government based on an extremely broad court decision. All this is happening against the backdrop of U.S. President Barack Obama's efforts to protect the secrecy of the national security state by having his administration hound reporters and punish whistle-blowers. If Americans want to see what dangers a highly secretive brotherhood of anti-liberal national security professionals who are imbued with a resentful, chip-on-its-shoulder nationalism presents to a nontransparent state with a cowered populace, they need not to look any further than their former Cold War rival.